This is a curvy cute cross stitch alphabet font! Pictured with fun and fresh springtime pastels the letters range from 11 stitches high to 15 stitches wide. You of course could change the colors to anything! Yay! 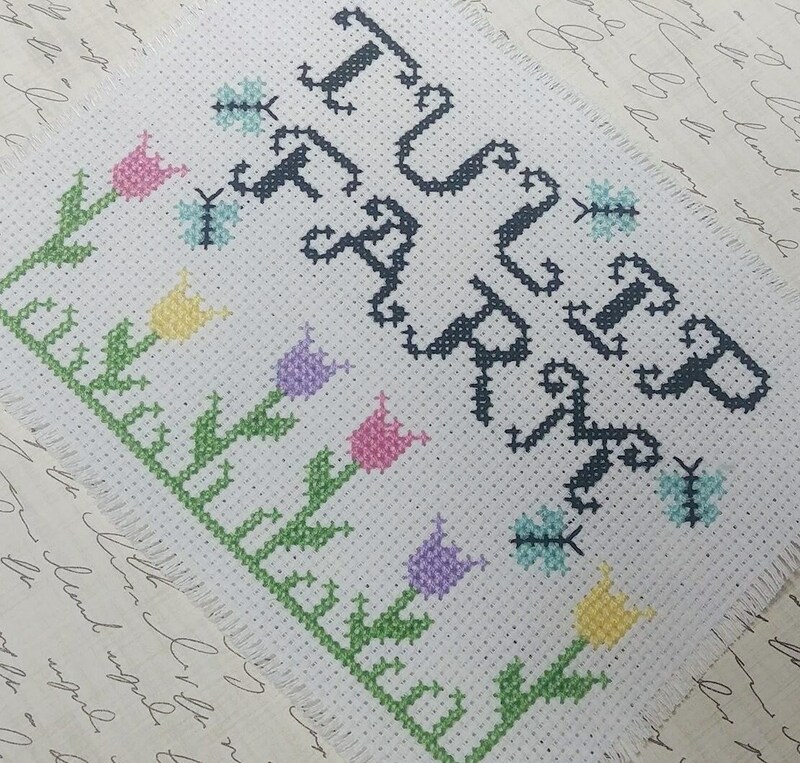 I also included a little farm of tulips for a border/accent design with sweet little butterflies flying around! Sooooo cute! -Sweet little springtime tulip border with tiny butterflies flying around whichever way you wish. I am happy to let you use my font design in your own personal designs. 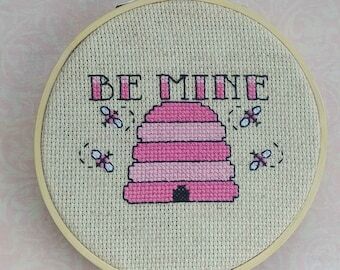 I know there are many fun subversive, quote, and monogramed cross stitch patterns out there. Go ahead and make your stuff but if you sell it, please be nice and give me a shout out for helping you with your work. Don't however, copy my font and sell it as your own. That wouldn't be cool.